CHOP weaves together four strands: Lifestyle evangelism looks to share the gospel in the context of those relationships at work or at home or wherever God has providentially placed us. Strategic prayer is kingdom prayer (i.e., prayer concerned with the matters, priorities and goals of Christ’s kingdom) characterized by planning, intention, focus and direction. Personal spiritual renewal reaches to matters of motivation as we are invigorated with the scent of God’s grace so richly, unexpectedly and undeservedly poured out upon us. It seeks to grow in intimate knowledge of God fueled by His revelation of Himself in His Word. Such prayer draws us near to God, cultivating in us His heart for the lost, compelling our witness by love and gratitude and not by sterile duty. Spiritual warfare takes into account the biblical data of the reality of spiritual opposition for our work of witness for the extension and strengthening of the kingdom of God against the kingdom of the prince of darkness. It is prayer aware and prayer against. This strand attempts to find firm footing on the foundation of God’s written Word, while avoiding the pitfalls stemming from fanciful notions and excesses. CHOP involves a small group of two or more believers committing themselves to a 12-week period of meeting together weekly and praying privately daily. 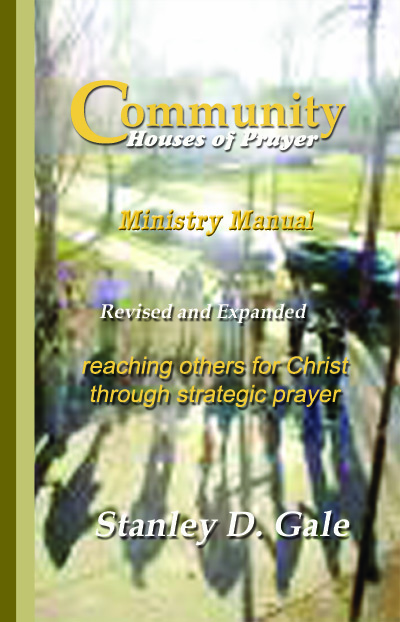 The mission of the group is the common goal and mutual support of reaching others for Christ, particularly through prayer. This sort of prayer will powerfully affect you as God’s instrument and will carry out God’s purposes in those around you. God actually uses your prayers to the accomplishment of His providential purposes.